I have just returned from a trip to Australia and every time I revisit I pick up more tips on how to conquer this vast and amazing country. 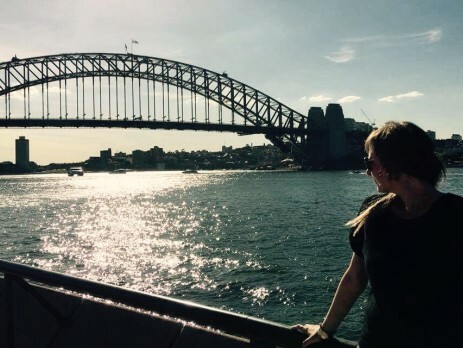 Australia is a long way away so here is some travelling advice on how to see as much as possible, save yourself money and make the most out of the precious time that you have there. Australia is the opposite to Europe when it comes to the weather patterns. This means June to August are the winter months and December to February are the hottest. In summer it gets very humid in the northern part of Australia. This means mosquitoes, stifling heat and also the threat of cyclones. Sometimes certain destinations are cut off by flooding and it is more dangerous to travel around by car. I suggest heading down to South Australia, Victoria and New South Wales at this time of year. The weather of course may still be hot, but the days are long and beautiful and often the landscape is lush and green and beautiful to visit. There are some great trips out to vineyards near Adelaide, you could make a trip along the famous Great Ocean Road and venture out to the fabulous Blue Mountains National Park just outside Sydney. It can get quite cold down south in the winter, the days are short and everything is a bit dry. This is the time to pack your bags and fly up to Cairns or Darwin. Don’t worry, it won’t be cold up there but much more bearable than the summer months! It is easier to access places like Kakadu National park near Darwin in dry season and outside storm season, the Great Barrier Reef off the Queensland Coast provides better weather conditions and visibility for snorkelling and diving. 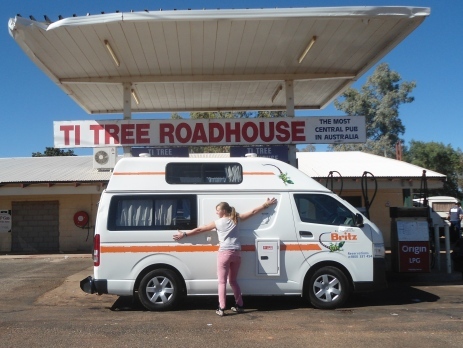 If you’re travelling with anyone else then I would suggest hiring a campervan for at least part of your journey. This is a great way to save money and to see some of the awesome sights that can often be way off the beaten track. You can also travel at your own pace and have the flexibility to change your plans if you decide to stay longer or shorter in one particular location. So why a van? Hostel beds are charged per person whereas campsites spots are often charged per car. There are also free camping sites up and down the country so get a guide and make full use of these. Fuel is cheaper in Australia than lots of other countries and filling up the tank could be much more economical than buying a greyhound bus ticket. There are many camper van companies that will actually give you an incentive to deliver a van from A to B. Sometimes you are rewarded with a fuel voucher or even free hire if you are able to deliver one of their vans to a specific location. Australia is bigger than Europe so you’ve got to be realistic about the time frame that you have to work with. In saying that, there is a lot of ‘in between’ space that doesn’t necessary have to provide stop offs. If you really focus on mapping out what you want to see then you can cover quite a lot of ground and hit all the great tourist hot spots. Make sure however you do get to see some of the ‘real’ Australia. Whereas the Sydney Opera House and Ayers Rock are undeniably major contesters for most people’s bucket lists, just driving through the vast outback or down the beautiful coastal regions provide unbeatable moments. Think about the time of year that you are visiting and where you will get the most out of your travelling experience. If you are lucky enough to be staying a whole year then plan ahead with travelling and working so that you can get the best out of both worlds by being in the right location at the right time. If you are coming from Europe and haven’t experienced many long-haul flights, then the thought of taking a plane all the way to Australia can be pretty daunting. If you have time, why not think about breaking up the journey a little to give you a chance to recoup and visit another country. Thailand is a great place to pit stop to have a few days exploring Bangkok or relaxing for a week or so on a tropical beach. Emirates always pit stop in Dubai so why not spoil yourself in a lavish hotel and take advantage of one of the best places in the world for shopping. Another option is to take advantage of all the great locations on the other side of the world that you may not have necessarily visited otherwise. If you have time, take a few trips from Australia such as a ski holiday on New Zealand’s South Island or a beach break in Bali, Fiji or Vanuatu. If you fly one way around the world, try to go back the other way (if it’s not too expensive!) Travel across the Americas and visit Hawaii, LA or New York! Oyster offer two work programmes in Australia and one in New Zealand. We offer provide worthwhile conservation projects throughout both countries too. 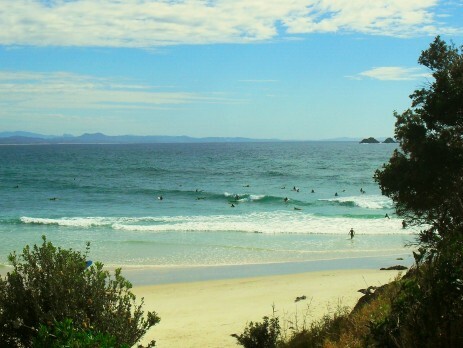 And why not think about our awesome surf instructor programme just outside Sydney?